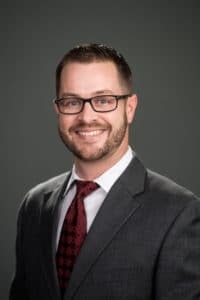 Nolan is a Manager in the Audit Department and specializes in accounting and assurance services for agriculture & winery entities, employee benefit plans, not-for-profit organizations, and affordable housing projects. Nolan joined Bowman & Company in 2014 and obtained his CPA license in 2015. He earned his Master of Accounting and Financial Management from Keller Graduate School of Business in 2012 and his B.S. in Business with an emphasis in Finance from the University of Phoenix in 2010. Unplugged: Nolan was born and raised in Lodi where he currently lives with his wife, Claire and their son, Henry. They love living near family and enjoy attending many of the local events that Lodi has to offer. Nolan has a passion for golf and can often be found at one of the local golf courses when he is not working or spending time with family and friends.